1) If you have purchased a licence before downloading the product then please download the latest release here. 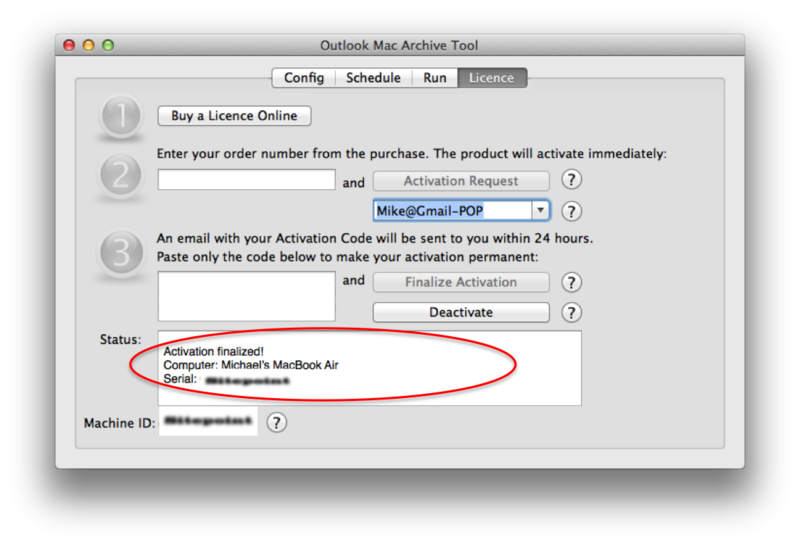 2) Open Outlook Mac Archive Tool, find the “Delivered Codes” in your purchase confirmation email from 2CheckOut and press the ‘Activation Request’ button. IMPORTANT: Your product will become fully functional immediately but you will STILL need to finalize your activation in the next steps to make it permanent. If you don’t finalize with 3 days it will revert to simulation mode and no longer fully functional. 3) After requesting activation you will receive a licence key/activation code via email (within 24 hours). 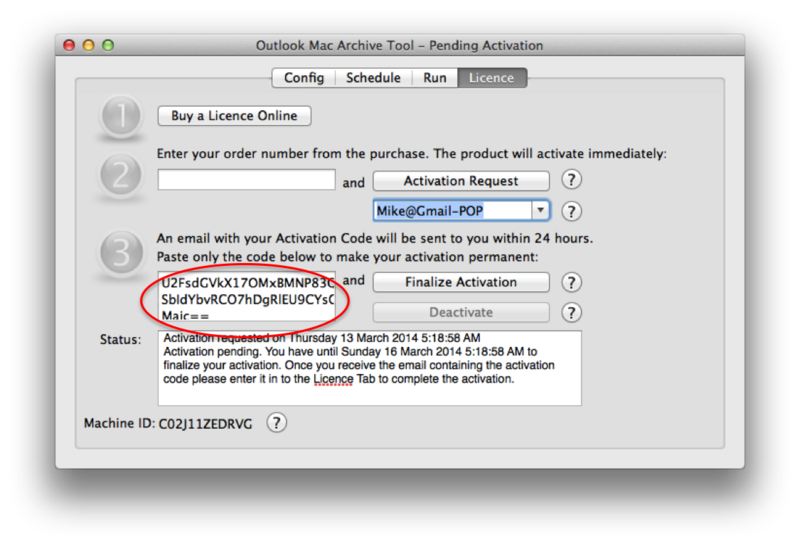 Once the key arrives enter it into the Outlook Mac Archive Tool application on the ‘Licence’ tab (Step 3) and press the ‘Finalize Activation’ button. 5) Please check back for update releases regularly, and check out our growing list of Users Guides.